Marching Kings - Fuji XT2, 183mm, f/7.1, 1/320s, ISO 1000. 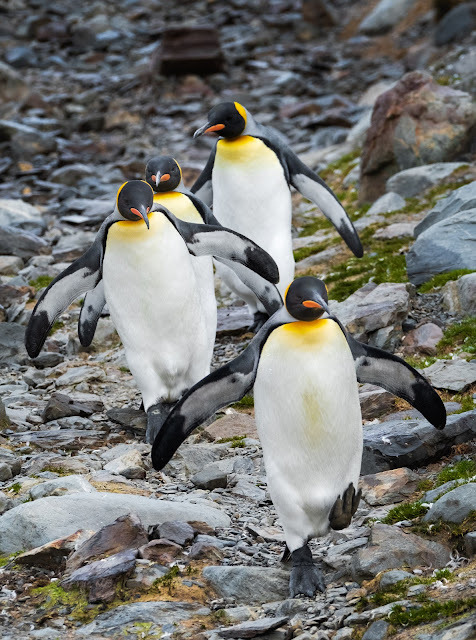 A small group of King Penguins come marching down a slope at Gold Harbour in South Georgia Island. I think they came down that slope more gracefully that I did.